Our mission as avid shoppers and a retail store to you is how to pair this season's trends to classic pieces. This will create long lasting looks and more bang for your buck. 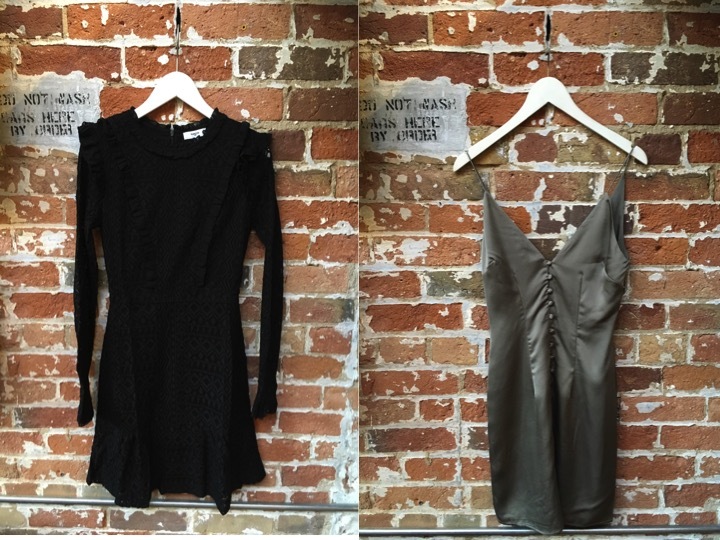 We've selected our favourite trendy or classic pieces of the week- and they're still available as of now in store! 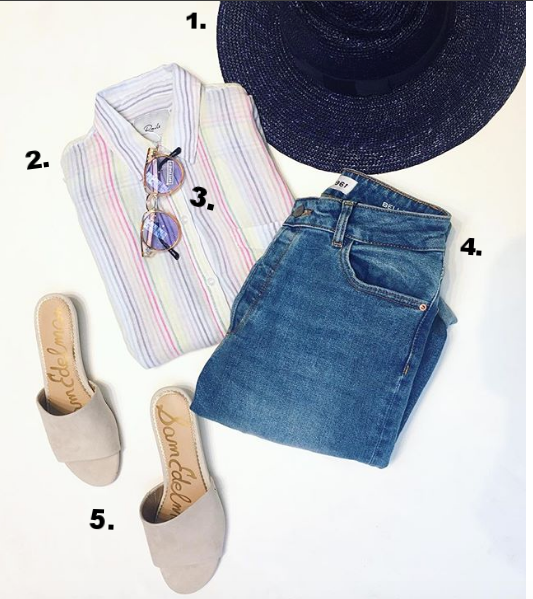 Shop the looks or come visit a stylist to help figure out what in your wardrobe this works with, or how to get you a brand new outfit. 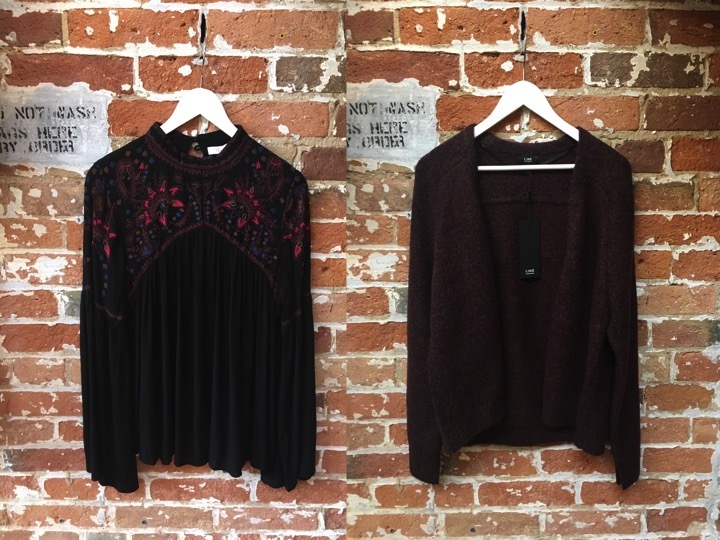 Our new arrivals are starting to trickle in so shoppers start your engines! Summer dressing in the heatwave is not enjoyable, let's be real. However, it is one of the best times to just be able to throw on a dress and be on your way. Classic Canadians complaining if it's too hot or too cold... Either way we're all about summer and we're here to give you some easy outfit inspiration. Visit us in store to purchase & see more! Did you know our summer sale is happening now? Can't live with them but can't live without them, Moms are moms and selflessly they only accept one day a year to be dedicated to them. Let's make it count. This Sunday is coming quick but who doesn't thrive on a little last minute shopping. We polled our moms to ask what would they really want for Mother's Day and for once they told us! They deserve the moon and the stars but they will be settle with any of these ideas. Check out our gift guide below for all things Mom. Jewelry is by Biko, she was also nominated for a CAFA this year. See other photo for details! Still stumped? That's what our stylists are here for! We can definitely give you some guidance for any pricepoint. We also won't tell if you're out buying yourself a present, because you deserve it girl! Every start of a season we get excited by the new trends, new pieces, a new look. Whether or not you've been in a clothing rut for winter, it's officially time to flip your closet. There's hope in the world again as the promise of warm weather lifts our spirits. The thought of summer dresses not far off. Yes we realize it's still cold outside so your pasty legs have a little longer to hide, but we're looking for some inspirational outfits. It's time to show off some shoulders, break out the colour and fall in love with florals - again. We missed you Spring, we're so glad you're back. Enough is enough, we're sick of putting on another sweater and another layer, all just to wake up the next day to more cold weather. We're back after a winter hiatus and are clinging to optimism that Spring is literally around the corner. 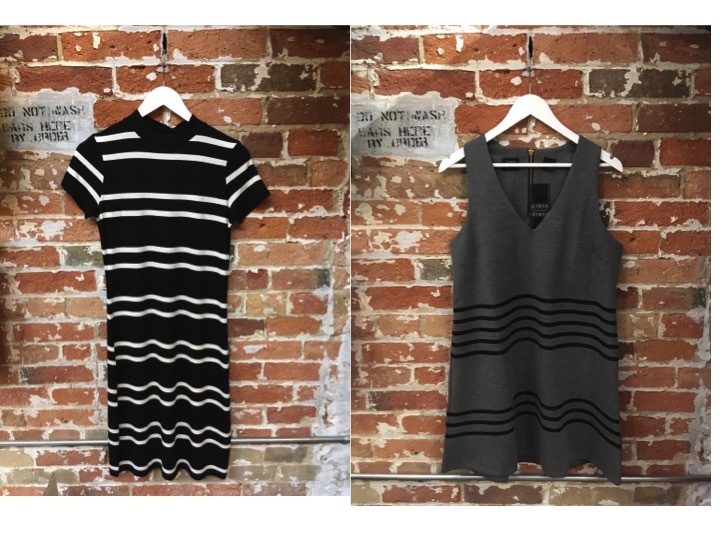 Whether or not it's inspirational dressing, we are here for the colourful new clothes- and there are a lot of them! 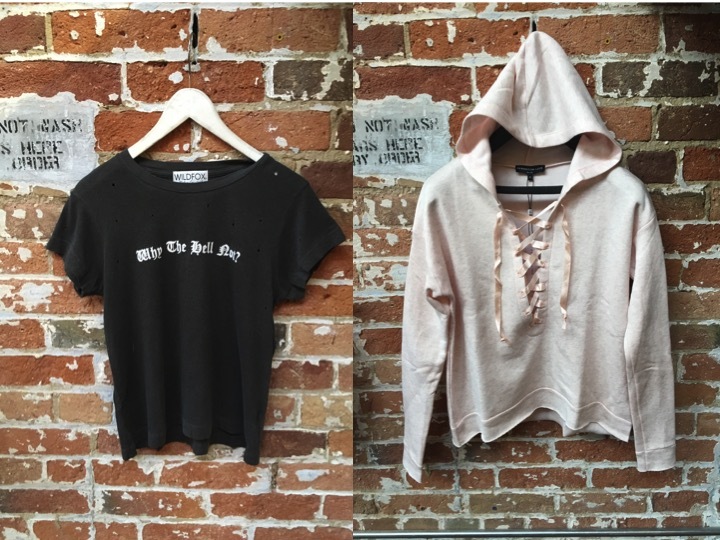 Scroll through to see all the new stuff & visit us in store for even more! All your favourite brands are back with a few new additions to the family. We've finally defrosted and are ready to see florals everywhere. Spring is officially here in the store and we couldn't be happier about it. Out with the old (sale continues) and in with the new! Lots of tropical blues, light pinks and florals galore - this is the first instalment of your spring wardrobe. The festive season has many stresses, but running to the mall for an outfit the night before an event should not be one of them! Lucky for you we're not even in the mall. We too have parties galore and we know the power of a great look. Dress up for the people you haven't seen since last holiday gathering, dress festive because why the heck not, and dress comfortably because it's the season of over indulging. Is it even really the holidays unless you wear Velvet? ...Hello NYE in the back! Happy Shopping and Happy Holidays from all of us here at Gotstyle! Fall is officially here and if you were waiting for this heat wave to finally end to start your shopping, the time is now as it drops to the seasonal norm for a couple days. We are bursting at the seams with new product. 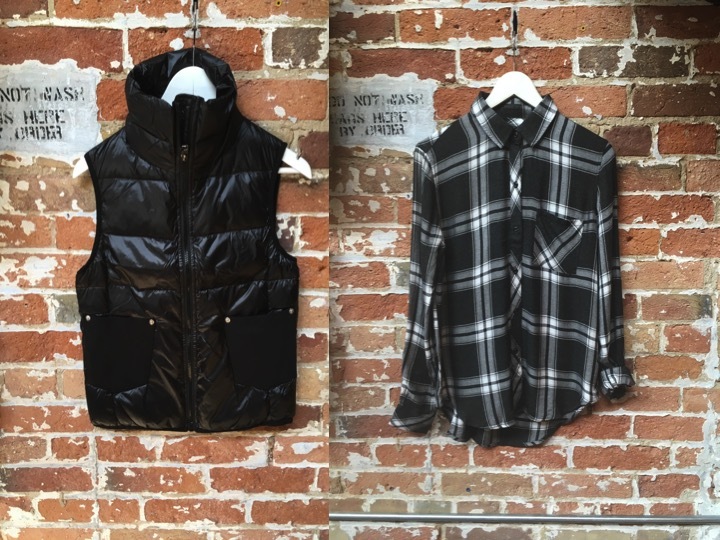 Your favourite brands meets our new ones, all bringing you great fits, fabrics in this seasons hottest trends. Sleeve detail, ruffles, red, plaid, embroidery - the list goes on and on. 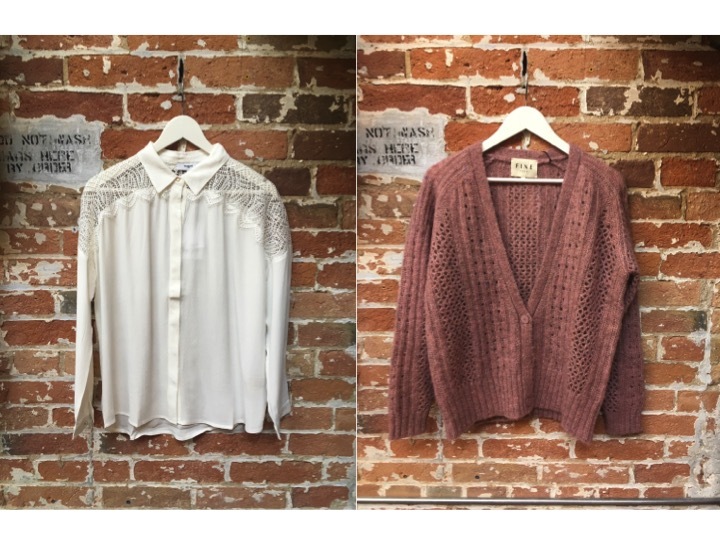 Here are some of our top picks for new arrivals, but visit us in store to see the whole collection. Cupcakes & Cashmere Lace Up Sides Dress $140*** layer layer layer! Ted Baker Silk Pajama Blouse $269*** get on the pajama trend now! Wish we posted more on here? We'll try, but in the meantime follow us on Instagram to see new arrivals daily. August isn't over, summer still isn't over! We're back from our vaycays and new product is arriving daily. Though the nights are cooling, the days when it's not raining are still super steamy. The glimmer of hope that is fall fashion is approaching but we are still clinging to the last days of summer to get more bang for our buck in our denim cut offs. Transitional dressing was never our forte but here are some pieces that can get you through this confusing month. A teaser of some amazing new arrivals from our Fall collections, as well as your classic summer staples for your last minute getaways. PSSST - there's more great pieces to see as part of our end of season sale. In store only,50% off and they're going quick. July is in full swing, where has the time gone? Time to make those summer plans stick before dare we say it, fall comes crawling back. There's an outfit below for any occasion -last minute wedding showers, cottage trips or heading out to the upcoming festivals? Tag @gotstylewoman in your #ootd to show us how you're styling these exclusive Gotstyle Woman finds. This set is for Gingham lovers, but if you only love one half.. try the top with high waisted white shorts or the skirt with a simple tee. Either way you're out dressing everyone else. 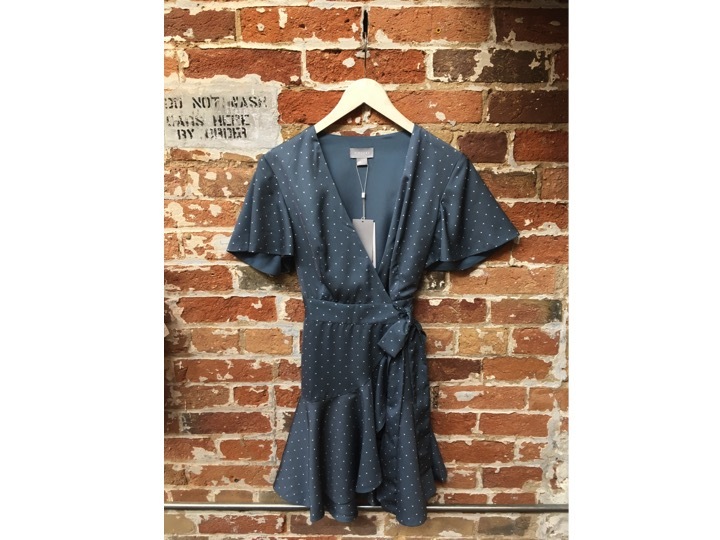 Maison Scotch Long Printed Dress $160 - we add this bad boy in even though there's one left - it sold quick, can you be quicker? Officially it's summer and we are officially on sale! Your favourite brands, at your new favourite sale price. If you've been eyeing something for the past couple weeks, it could be on sale and it's time to buy it. We don't let friends have non buyers remorse. Select spring and summer styles are now 30%-50% off! Visit us in store to see the full selection. Don't miss out on these beauties, the sale and selection won't last forever. Let's face it, with this heat we're all about to live in jean shorts all summer. Insert our new delivery of Levi's here and into your wardrobe. Bright summer prints and their classic denim, makes a great go to outfit. 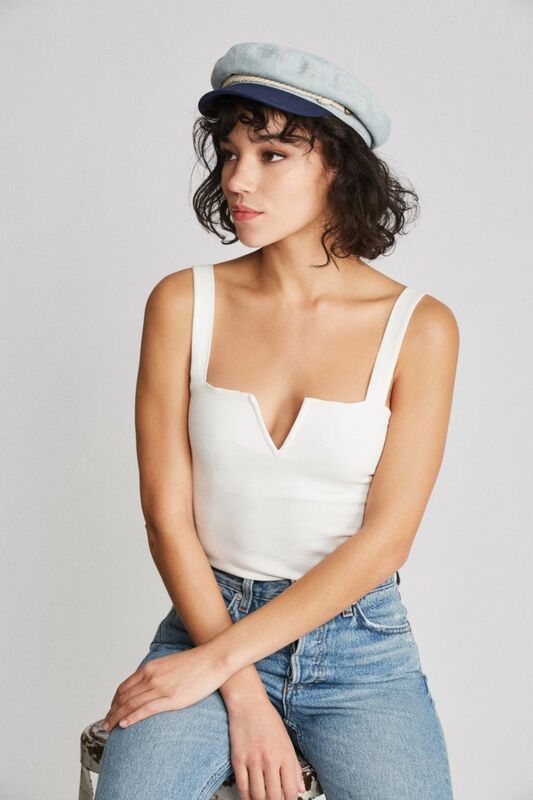 Fresh like a summer's night breeze, these new arrivals are all about pieces that are easy to slip on so you only have to worry about how many times you can repeat this killer outfit before you have to wear some of your other clothes again. Here comes patio season, wedding season, bbq season, and just about every season that requires a fabulous new outfit. Ok, it doesn't need a new outfit but it's so much more fun to get one. It makes getting dressed easier and we can definitely put together some other outfit options for you to help you take your new piece from day to night and season to season. 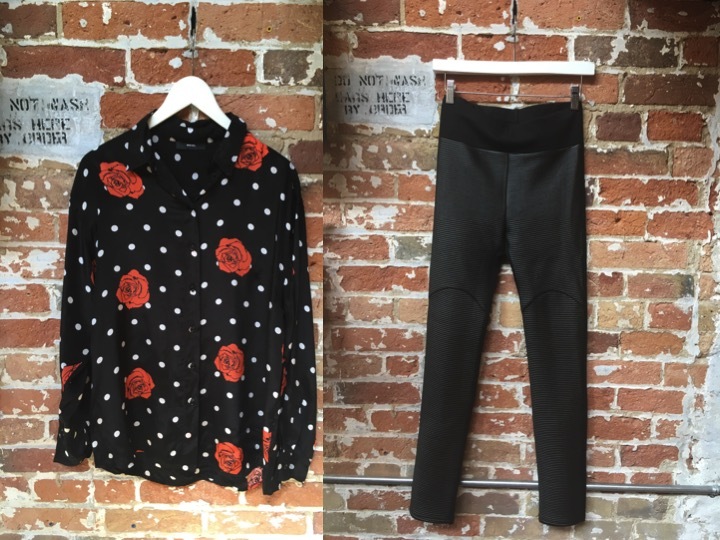 We've rounded up some of our favourite new pieces that are guaranteed to make you feel just as amazing as you look. It's time for a closet refresh, it's June, it's sunny (finally) it's time for a trip down to Gotstyle. **These joggers are so comfy! They also come in a green colour if you need two pairs! ** Muche et Muchette does these fabulous sleeves on a ton of tops as well. See something you love? Don't wait! Email, call or visit us to get it now! It's the first long weekend of the summer season and we can barely contain our excitement. 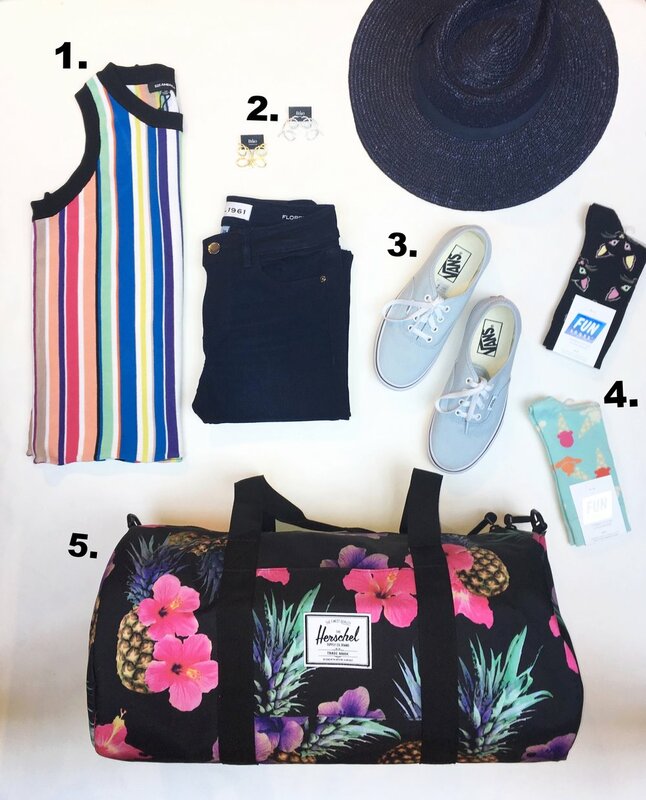 Whether you're heading up north or you're sticking around town, you need a good outfit for all those sunshine soaked patio drink instagrams that are bound to happen. 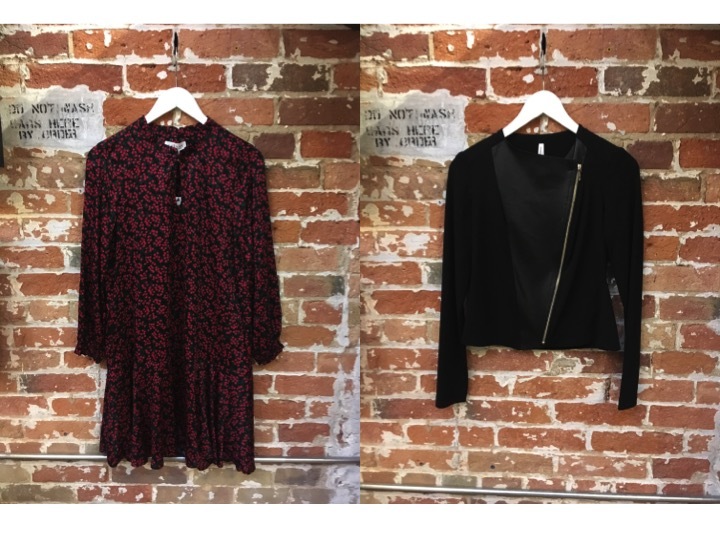 We're full of new arrivals that you can actually wear (thank you 30 degree weather). We've introduced some new brands, some new fits and some beloved styles, come visit us this weekend for great clothes and great sales! See something you love? Don't wait - email Alex@gotstyle.com to reserve your piece! If you're sticking around Toronto, our Distillery location is open all weekend! Saturday 10-7, Sunday 10-6 and Monday 11-6. Whether it be your mom, your mother-in-law, or your wish you were my mom.. give a mom a hug this Sunday. These special ladies deserve a lifetime of love and applause for all they do and put up with, and it's the least we can do to dedicate a day in May to them. What do you get the woman that is the reason for your existence and might already have everything? The jury is still out on that but we're trying to impress her with these new pieces and a heartfelt thanks mom! Women love clothes that feel great, look great and fit great. 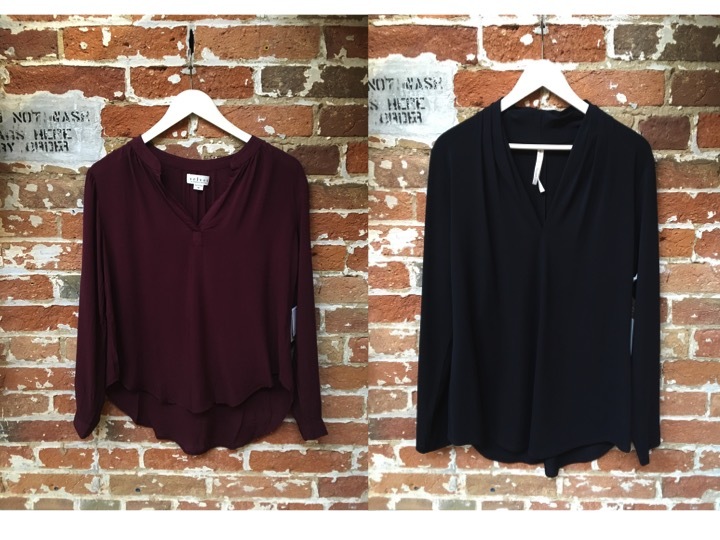 Great brands for comfort and style are Velvet, DL1961 and Autumn Cashmere with their luxury fabrics that compliment any body shape. Supporting Canadian brands is a thoughtful way to add a little something to your gift. 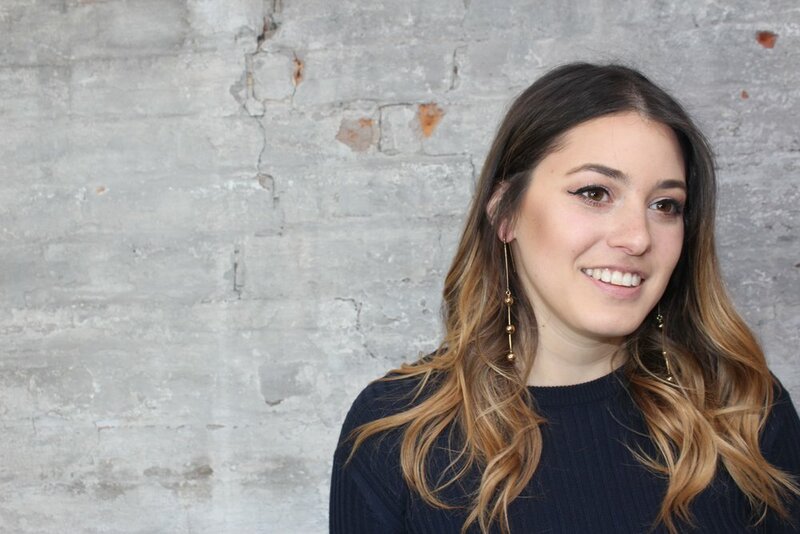 Our local designers like Jenny Bird & Ela handbags create quality pieces right here in Toronto. 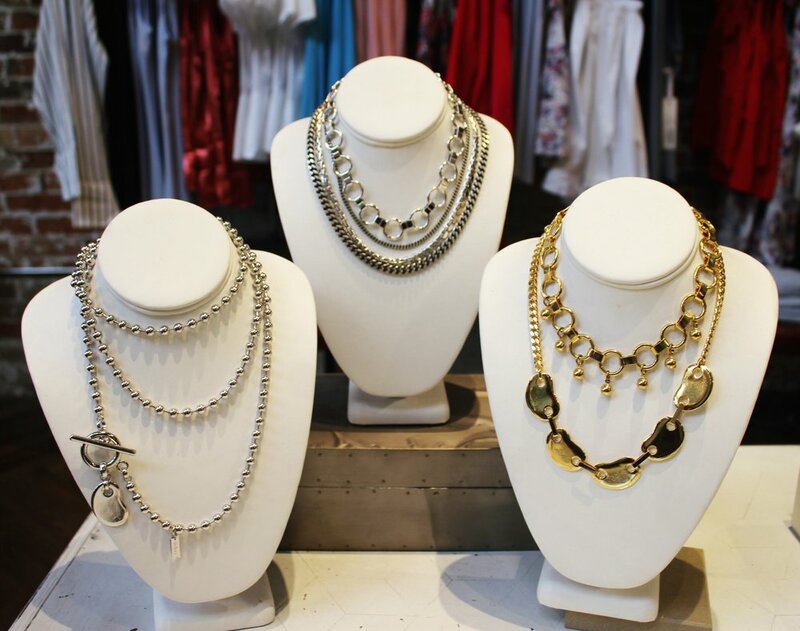 Our stylists are here to help you to find the perfect gift for the mom in your life and to fit any budget. 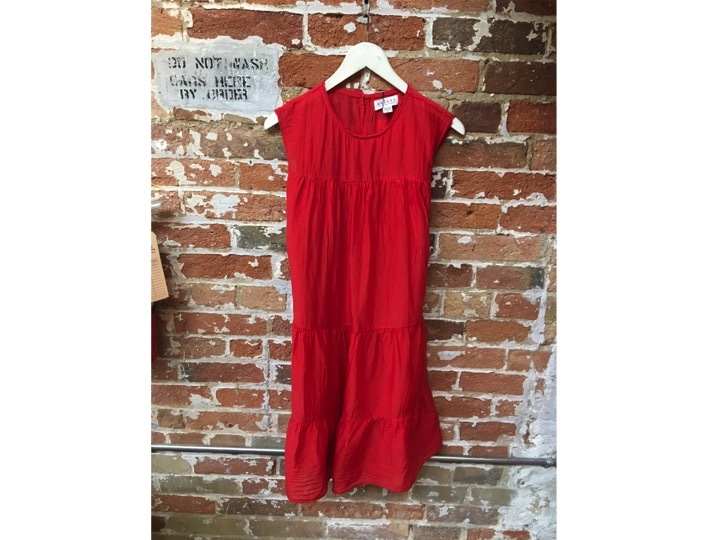 We have tons of new arrivals in store and we are open late everyday. Happy Shopping and Happy Mother's Day from us to you. The spring summer season in the shopping world is full of hope and excitement. After long winter months of black on black we are ready for colour and crazy details. We longed for dresses and short sleeves, we craved sandals and sneakers, so let's see them! The time has come for when your inspirational outfits can become a reality because the weather is finally on the same page as us. Ruffles - They're everywhere, you can wear them on any piece but we prefer a few front or sleeve details. 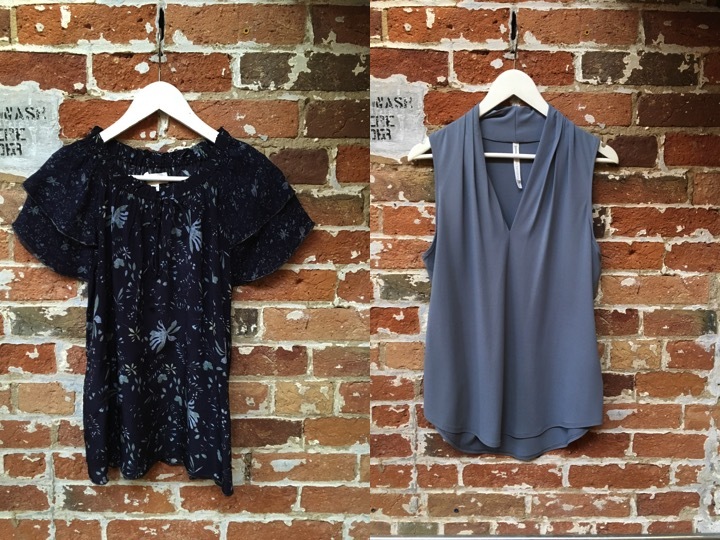 Snag your favourite pieces before they're gone! Want to live your best, stylish life this Spring? So do we, that's why we're picking our favourite pieces to freshen up our outfits. We need the bright colours, soft fabrics, the seasons top fits (hello off the shoulder again and again) and all together that makes a great look that's worth the Instagram. With warm temperatures and sunny skies ahead, we are mentally preparing to show off our legs again, but until then we have some great pant and top options as we all apply self tanner. This week brought in a lot of brands we love, come visit us in store to see what else we have to offer! Ruffles are everywhere! How do you rock yours? Made to measure for women is not an easy feat. We have breasts, hips and all types of curves that fall on different places depending on who you are. To accommodate this took time, practice and a concise understanding of suit making, all of which our made to measure specialist has mastered as he took on this challenge of making suits for women. We launched this program late last year, after testing out the suit making process on the real women of Gotstyle. From different shapes, sizes and styles, the made to measure program for ladies is ready. Since then, countless clients have praised the process, and the feedback has been promising as we seem to be filling a niche in between the high price of Bespoke suits and off the rack. We know how discouraging it is when something doesn't fit, but with custom suiting it's a seamless process of a few fittings so that it is tailored exactly to you. You are the designer - from fit to desires such as button colour or lining, with tons of cloths to choose from, you have creative freedom. If you want it to be monogrammed with a Beyonce lyric, we will nod with approval and add that to your suit. The life of your suit is determined not only by how often you wear it, but quality of fabrics, fits and construction. Our suiting features a half canvas construction (sewn in canvas piece in the chest and the lapel of the jacket, and is fused on the bottom part of the jacket, allowing it to become like a second skin, without breaking the bank of a full canvas suit). Plus, it's made in Canada! You will receive the full custom experience, Konstantine has created measurements that target a variety of sizes and body shapes, allowing us to accommodate anyone. Whether it's for a special occasion, the office or it's simply time to revamp your wardrobe, our made to measure program is a great new way to look and feel great in your clothes. Your custom suit is waiting for you! Cautiously but excitedly we say Spring is here, and with that warm weather the promise of being able to wear your ripped jeans without your knees freezing is the light at the end of this crazy month called March. 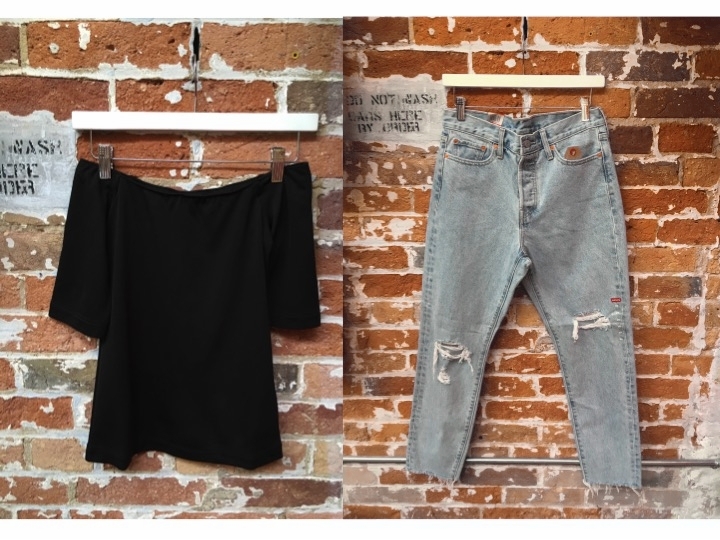 Whether you're looking for your "It" piece of the season or just something to wear to your big weekend plans, we've picked our top new pieces of the week for you to drool over. 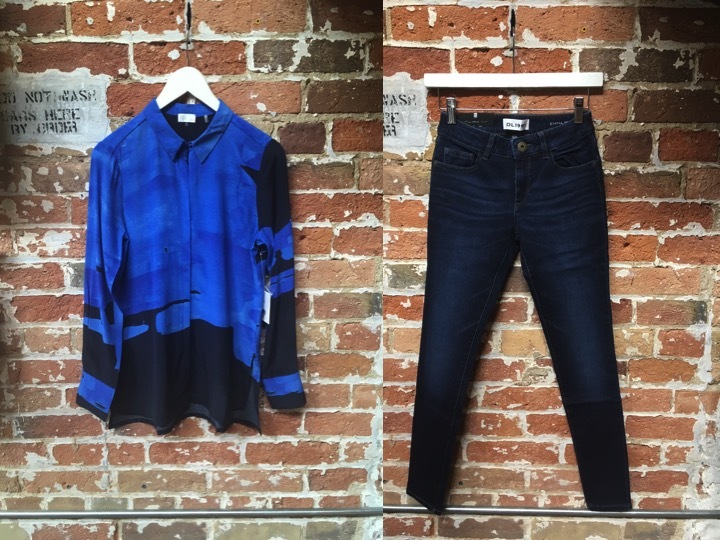 Highlights for casual wear are some great pieces by Velvet, and the beloved James Jeans finally landing. For work or that fast approaching baby shower- Ted Baker and Parker are here for you.